The main story of the section focuses on how to (affordably) eat more fresh fruit by growing your own. 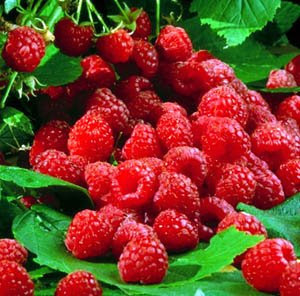 We're all about berries and apples, the vines and trees of which are now being sold at home improvement stores and nurseries. You've got about another month left to plant them before summer's heat sets in. Of course, if you plant berry vines and apple trees right now, don't go thinking that you're going to have bushels in the summer. It takes awhile for them to get established. However, the vines (bines, in some vernaculars) can be trained into artful garden features, making them as beautiful as they are functional. And, as anyone who's tried to clear a garden in Alabama can tell you, wild blackberries grow like, well, weeds. The domestic, thornless varieties do just as well, and they're less hazardous to your hands, arms and children who cannot resist them. Paired with blueberries, raspberries and apples, they make a fine little family orchard. See our story on getting started. We're continuing our efforts to bring cost-cutting measures to feeding your face. This week features the gourmet food buys that can be snagged at dollar and super-discount stores. Indeed, by canvassing the overrun shops (Big Lots, etc. ), you can find high-end items that needed to be cleared off the shelves at retailers, but that are still perfectly good to use.... and often not available here at traditional groceries. And, if you're too poor to go out for entertainment, then the new TV season should inspire you. We've got a handful of menu ideas based around the small-screen hits. Pat Kettles' Uncorked looks at the wines of Washington, Ben Cunningham takes us through Prohibition history in Pitcher This, and Prudence Hilburn has an easy yet elegant Vichyssoise in her Gourmet Touch.